Born in Leeds Yorkshire, where he also attended schooling and training at Leeds College of Art. Decided to follow a career in Art teaching and graduated from LeedsTraining College. Taught Art at Yarm Grammar School, St Mary’s College Middlesbrough and was Head of Arts at Darlington Sixth Form College. He married in 1946 and had three children. In time away from teaching has produced many paintings and besides motoring art has included trains, planes landscapes and portraits in his portfolio. 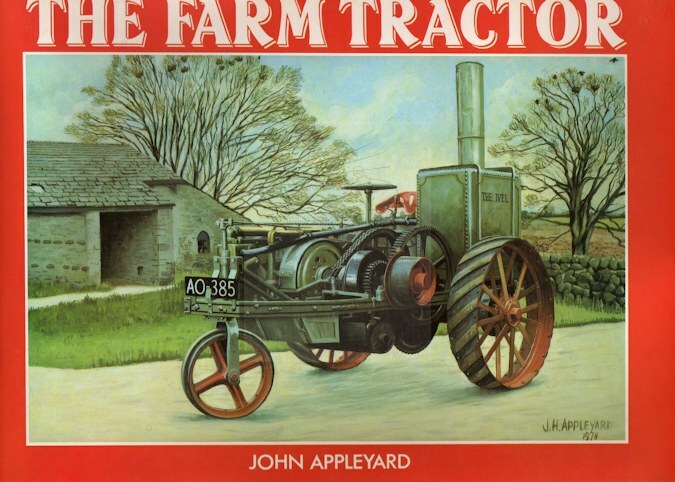 His landscape work was used for two local calendars in 1989 and 1990 and in 1987 a book of his paintings of tractors was published (see reference below). He has always been interested in cars and these have featured in his paintings starting in the early 1950’s. 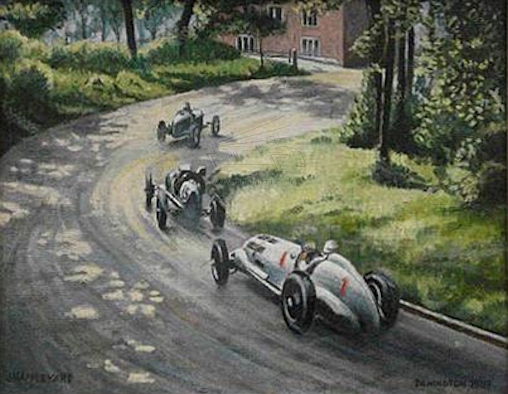 Many of his motoring paintings are retrospective images of pre- war racing scenes. His favourite media are gouache or oil paint. The normal signature is J H APPLEYARD in upper case but smaller works are sometimes initialled JHA. 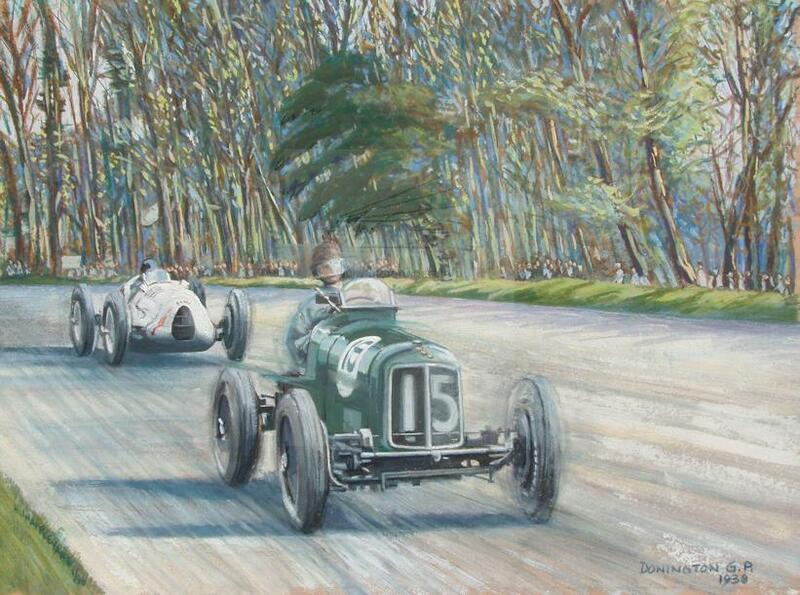 Several of his paintings have appeared in motoring auctions. 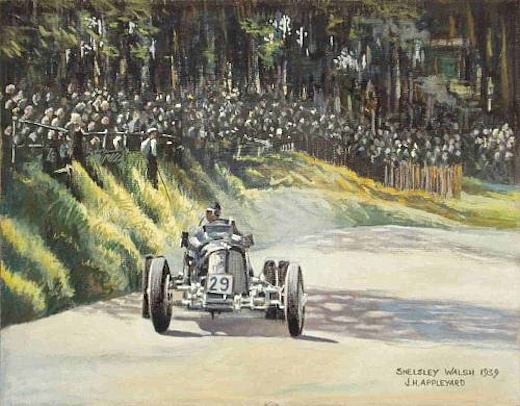 There is a brief reference to Appleyard as a contemporary motor racing and vintage car artist in the Dictionary of Sporting Artists. Died in 2016 aged 93.